WIN a FREE $10 Subway eGiftCard!!! Instant Win Game! Who loves Subway? 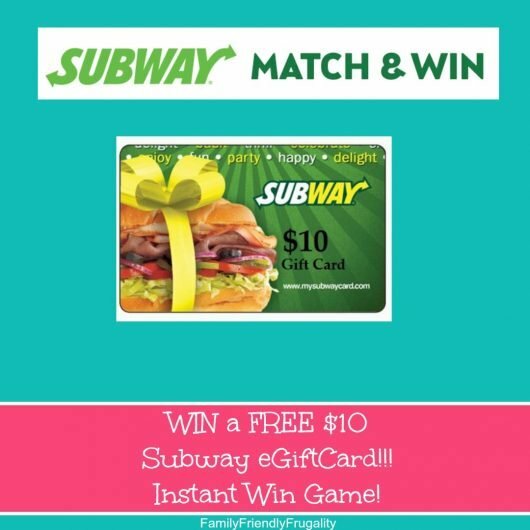 Guess what, you could get a FREE $10 Subway eGiftCard if you enter this Subway Instant Win Game! You’ll need to request a FREE entry code HERE first.